The Academic discuss their debut album, touring in the United States, and the road that’s led them to becoming bona fide indie pop darlings. Staff writer Christine Costello contributed to this interview. If The Strypes and Niall Horan are the only artists from Ireland you’ve been listening to this year, you’re doing yourself a disservice by skipping The Academic. Hailing from Mullingar, the band is giving not just Ireland’s most popular groups, but most indie pop-rock artists a run for their money. The quartet, made up of vocalist and guitarist Craig Fitzgerald, guitarist Matt Murtagh, bassist Stephen Murtagh, and drummer Dean Gavin, started garnering global praise in 2016, before they had even released an EP – a feat that outshines even today’s brightest power pop stars. Their name began to grace various Ones to Watch lists (ours included) and before they knew it, the group was supporting Noel Gallagher, Catfish and the Bottlemen, and the Pixies… all prior to an album. 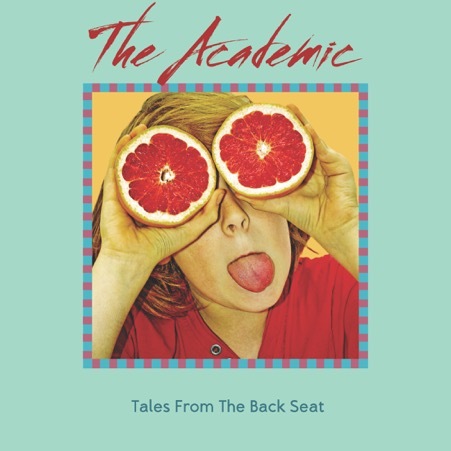 In the midst of all the shows and hype, The Academic released their debut album Tales from the Backseat (Downtown Records) in January of this year, cementing their place in the world of independent pop-rock. Simultaneously a youthful burst of exuberance and a coming-of-age album, Tales From The Backseat was only the beginning of what promises to be a jam-packed year for the foursome: they’ve just completed a headline run in both the United States and Europe and will be playing the festival circuit come summertime. If that’s not enough, they’re also slated to open up for The Rolling Stones in Dublin next month. The album takes the group’s natural youthful energy and succeeds where manufactured pop acts fail: in creating a story all their own. A sunny-side up debut that’s reminiscent of Viola Beach or a lighter version of Catfish and the Bottlemen, Tales From The Backseat was an album designed to deposit listeners smack-dab in the middle of summer, no matter the season. Opening track “Permanent Vacation” starts things off, acting as an introduction to the album and to The Academic’s lighter side. It’s one of those songs you save for summer and sneak listens to year-round. It’s seamlessly followed by two of the group’s most popular singles, “Bear Claws” and “Different,” which, with catchy hooks and belt-able anthemic choruses, keep the mood unequivocally upbeat. “I Feel It Too” and “Bite My Tongue” relatably deal with the ups and downs of relationships set to killer beats, while “Northern Boy” slows things down and turns introspective. “Television” and “Why Can’t We Be Friends?” pick things up again before the album settles down with “Girlfriends,” a nice bookend to an album filled with coming-of-age stories. Since the album’s release and subsequent popularity, the band has been touring throughout Europe and the United States, often finding themselves selling out shows. Atwood got the chance to connect with The Academic and chat about Tales From The Backseat, touring in the United States, and the road that’s led them from playing in a backyard shed to bona fide indie power pop darlings. Check out our interview below for more! Atwood Magazine: First of all, congrats on the record! We’ve been following you guys for awhile, and we’re happy Tales From The Backseat is finally here. The Academic: Thanks a lot, we have been fans of Atwood a while too! You’ve been creating music together for a long time—since secondary school, right? As of now, what’s your typical songwriting process like, and how has that evolved since you first came together? The Academic: Yeah, we had been knocking about together since we were pretty young, seemed like a good idea to start a band at the time although none of us could really play any instruments back then, thankfully it worked out! We would like to think we have evolved as better writers since those early days, but the process still largely remains the same. Craig would usually bring that initial concept or idea to the rest of us, it could be a lyric or a melody line then we would all work on it together until we were all collectively happy with it. In your experience, how has being from Ireland, or the midlands, specifically, shaped the kind of music you make? Do you ever feel any pressure to write music that has a certain sound or feel, or is it just the opposite? The Academic: It has to a certain extent. I mean bands like U2, Thin Lizzy, The Boomtown Rats, Ash were all bands that we would have listened to growing up, they were probably in all our parents’ record collections so from early on there was an Irish influence for sure but we all found a shared love in the wider international indie scene towards the end of the nineties, early ’00s. We never put ourselves under pressure to sound like someone else or have a particular sound, we have always just done our own thing when it comes to writing. Did you feel it was more difficult for you to make a name for yourselves, being from the midlands? Or more, have you experienced any prejudice? That is, do you think the road to success would’ve been easier had you been based in Dublin like bands such as Keywest or The Script? The Academic: It didn’t really make too much of a difference to us really looking back. When we got serious about the band around [the age of] 16/17, things started happening pretty quickly. The first single we released ended up getting nominated for The Choice Prize in Ireland as song of the year and was played all over the radio. We were on all these big Ones to Watch polls in the UK and Ireland with not even an EP out, and then every show we were putting on was selling out, including the first time we played Vicar Street, a 1500-cap venue that sold out on the back of only one single being out! Let’s talk about 'Bear Claws.' It’s the first single from Tales From The Backseat that you released, and it’s gotten millions of streams and help you cement a name for yourselves. How does that feel? Did you ever envision that when you were writing the song? 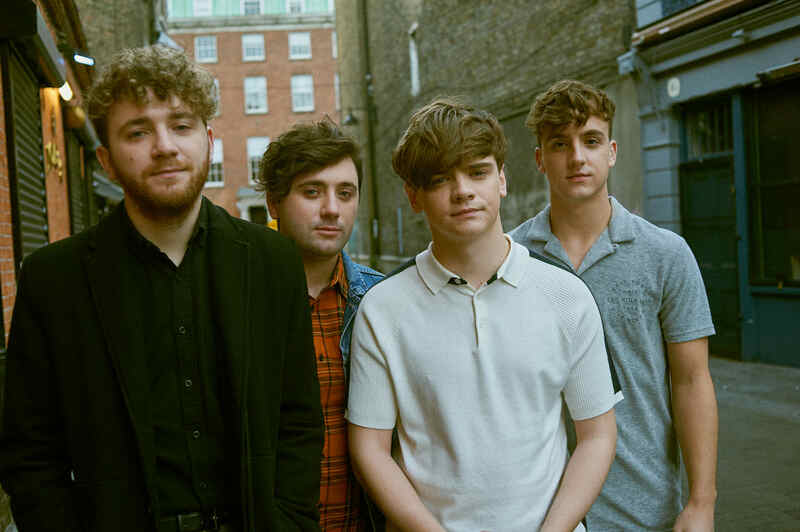 The Academic: It feels amazing, that song connected with more people than we ever could have imagined, going and playing shows around the world hearing people sing that song back is just a feeling that’s hard to describe. When we wrote it we definitely thought it was a special song, but back then we could never have envisioned how much it would connect with so many people. Just out of curiosity, is there a story behind 'Fake I.D.'? It sounds like there might be, if you’re comfortable with sharing with the world. The Academic: That idea for that song really was born out of that time in your life when you are consistently getting asked for ID. Even when you are over the required age and people still think what you’re producing is not real. It happened a lot over the last few years and still happens! I know you’re probably sick of The Name Question…but I read somewhere online that you took the name 'The Academic' from Catcher in the Rye, and that that book was one of the first that helped you write songs. (I’m a fan, too: Holden Caulfield is such a great character, Salinger definitely created an icon with him.) What other books (or films, etc.) have struck a chord with you along the way and which have you drawn songwriting inspiration from? The Academic: That book really did resonate with us and it is true we got the name for the band from it. It was probably the first book that we drew inspiration from just because the themes were so on point with life for us as teenagers and we were all in school when we started reading it. Most of the inspiration we get in our writing tends to be just what is going on around us, everyday observations. I mean movies that have struck a chord with us, probably too many to mention, but we are all big fans of David Lynch and all the work that he has done over the years. As far as music goes, what have you been listening to recently? Which albums were you particularly impressed with in 2017? The Academic: We are all big fans of Car Seat Headrest. We all have our own favourites but last year, Culture from Migos, Lorde’s Melodrama were stand outs. In addition to supporting The Kooks and Circa Waves, you toured with Judah & the Lion in America this past year. What was touring with such major groups like for you? What’s your impression of the States, from a touring perspective? The Academic: It has been great touring with all of the above. As a relatively new band, those were great opportunities and great experiences. You try to take in and learn as much as you can on those type[s] of tours and obviously it opens up a new fan base, which has been great for us. Touring the States has been a really great experience, everywhere we have gone we have been welcome[d] with open arms. We love it there. I mean, it’s the type of thing you dream of when you are starting off in a backyard shed. Going to places that you have only seen on a map and finding shows sold out really blows our mind. You recorded 'Why Can’t We Be Friends?' in LA with producer Tim Pagnotta, who’s worked with the likes of Saint Motel. Can you tell us a little more about that experience? The Academic: We recorded the entire album with Tim. He just really got us and the music from day one. It was a really great time where everything was just focused on the music. We have been a band since we were kids but most of that time was spent building a live reputation and just being on the road. We never had the luxury of being able to spend a decent amount of time in studio, any of the previous releases were recorded in a day or two and that was it. With Tim we gave ourselves a decent window of time to make the record, he is definitely a creative force and he was always supporting and encouraging throughout the process. Most of the album was recorded in Los Angeles and then Tim came over to finish the record with us at Abbey Road in London. This is a bit tangential, but a few months ago I was out getting pizza and heard 'Bear Claws' come on in the restaurant, which was a pleasant surprise. What’s the weirdest place you’ve heard one of your songs played, if you’ve had an experience like that yet? The Academic: Not sure if they are weird places, but it’s always a strange and admittedly a pretty cool feeling when you are in grabbing a coffee in somewhere like Starbucks and you hear your music playing, or at some random airport and one of the songs is playing. We also get fans messaging us from all over the world saying that they randomly hear our music in stores or sitting by a pool on holiday or as background music on some TV shows. Going to places that you have only seen on a map and finding shows sold out really blows our mind. So what’s next for The Academic in 2018? The Academic: A lot of touring, we just finished a headline tour in the US and Europe which was epic. Nearly every venue was sold out which was nuts. We jump into a headline tour in the UK now and all those dates are pretty much sold out as well so we are really looking forward to that. We are back out touring the US end of May with The Kooks and then we are back to Europe for a lot of festivals over the summer and our biggest headline show to date as a band at a place called Iveagh Gardens in Dublin, which we are absolutely buzzing for.